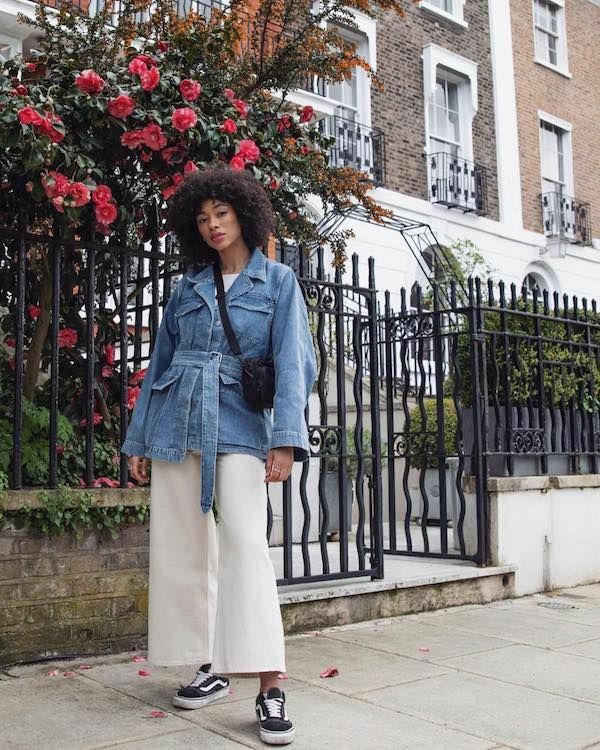 Lesley is serving up some great inspiration for what to wear on the weekends throughout the spring season. 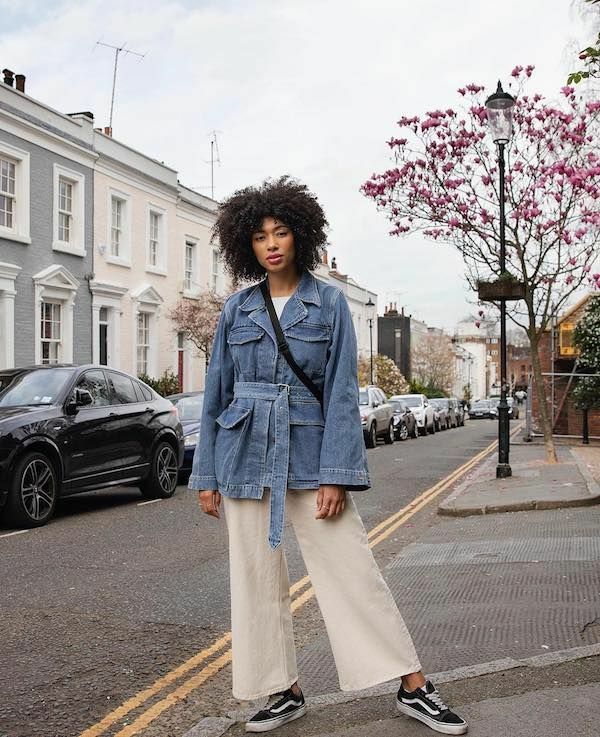 She paired a belted denim jacket, cropped wide-leg jeans, and Vans sneakers to create a casual yet stylish outfit. Shop our roundup with some of the best pieces online to recreate this look—Thankfully, most are under $100.